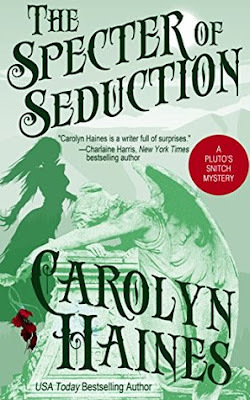 Waverly Mansion, a unique and lovely antebellum home in northeast Mississippi, offers the most dangerous challenge yet to Raissa James and her partner in the Pluto’s Snitch private detective agency. They specialize in hauntings, possessions, and the occult. In the isolation of Waverley, Raissa’s special gift, her ability to see and communicate with the dead, puts a target on her back. The entity that resides at Waverley Mansion covets Raissa’s sensitivity. But Raissa is not the only one in danger. She and her partner Reginald Proctor must save eight-year-old Amanda Sheridan from the dark forces roaming the grounds of Waverley. The bitter past plays a major role in the nightmare of the present—and Raissa and Reginald must find the answers to who—or what--was Nora Bailey, a woman reputed to be not only a Union spy in the heart of the South, but also one whose promiscuity put the men who loved her at risk. Raissa and Reginald can trust no one—especially not the dead--because the dead lie.